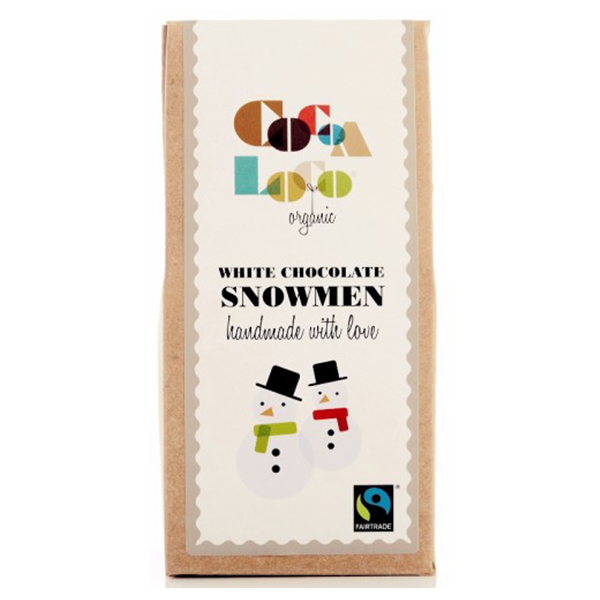 These jolly organic white chocolate snowmen are right at home in Christmas stockings! 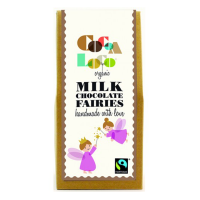 Made entirely of smooth creamy vanilla white chocolate they are the perfect treat for chocolate lovers. White chocolate containing MILK solids 25% minimum (sugar, cocoa butter, whole MILK powder, vanilla powder).